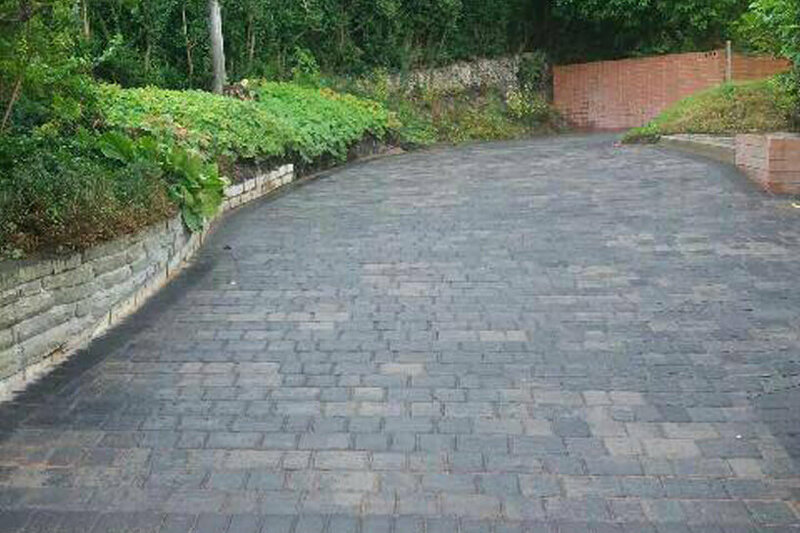 The recent block paving project was carried out in Low Fell Gateshead for the new driveway. 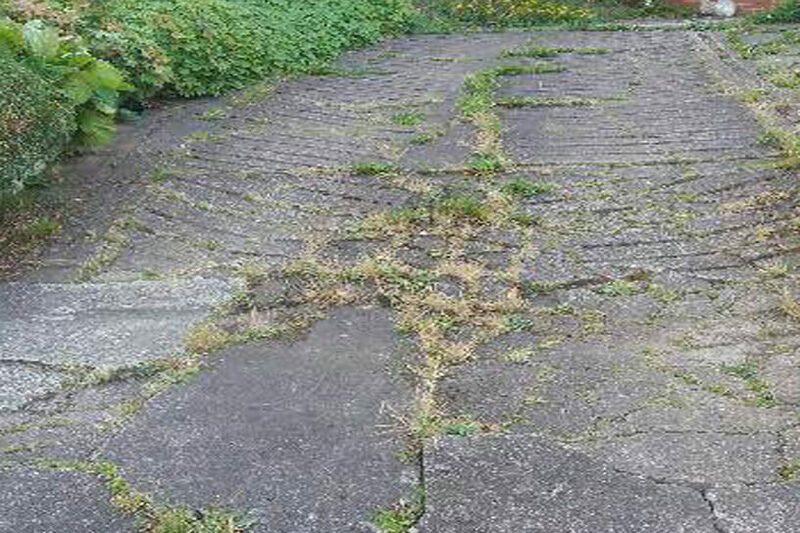 As you can see from the photographs below the driveway was overgrown and previous paving cracked and damaged. This made a total transformation to the driveway, making it look much larger and a lot more appealing to visitors. For the block paving on the driveway installation in Low Fell, Gateshead, we used Durham Setts in Moorland Grey by Thomas Armstrong. This design and colour matched the existing property beautifully. Established for well over 20 years, we have built up an excellent reputation not just Newcastle and Gateshead but also the surrounding areas of the North East. During this time we developed an excellent eye for detail, especially when it comes to designing creative paving and driveways. When it comes to a choice of paving blocks, colours or textures, you cannot go wrong with N & P for choice. Due to the fact we are not tied to any one supplier, we can offer our customers a huge choice of products to choose from. Furthermore, all the paving we install comes from leading manufacturers such as Thomas Armstrong, Marshalls, Lakeland Paviors and Derwent Stone to name a few. 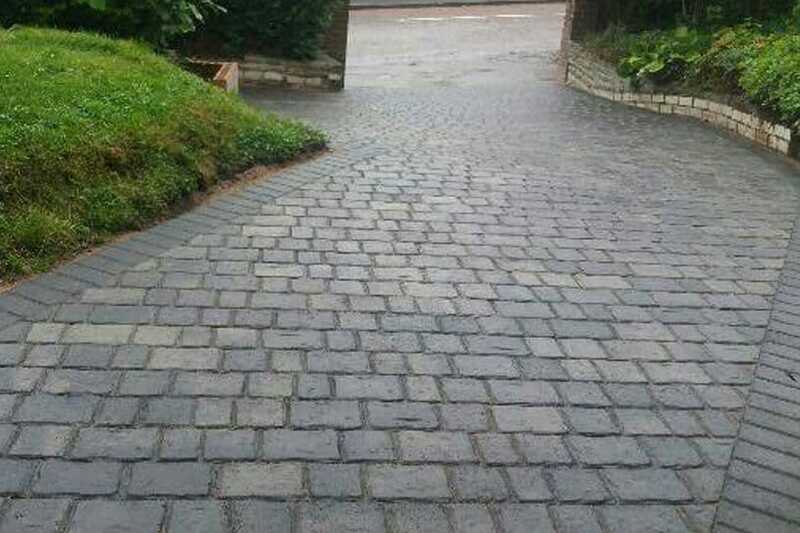 In addition, we not only carry out block paving we also offer the following types of paving for driveways and patios. We can create different types of features and products for driveways and patios. These include creative steps, circular setts, kerbs and edging, matching manhole covers, borders, grass guard and security posts. For your information, we also can install retaining garden walls, turfing, fencing and artificial lawns to complete your overall project. Finally, if you are looking for a quotation on your driveway or patio. Whether you live inLowfell, Gateshead, Newcastle or other areas of the North East? You can contact us on 0191 420 2590 or 07710 306751 we would love to hear from you. Want to keep informed of our latest projects, offers, and promotions?